Graduated means of increasing or decreasing size. Pearls are often strung graduating from the smallest pearls in the back to the largest in the front. 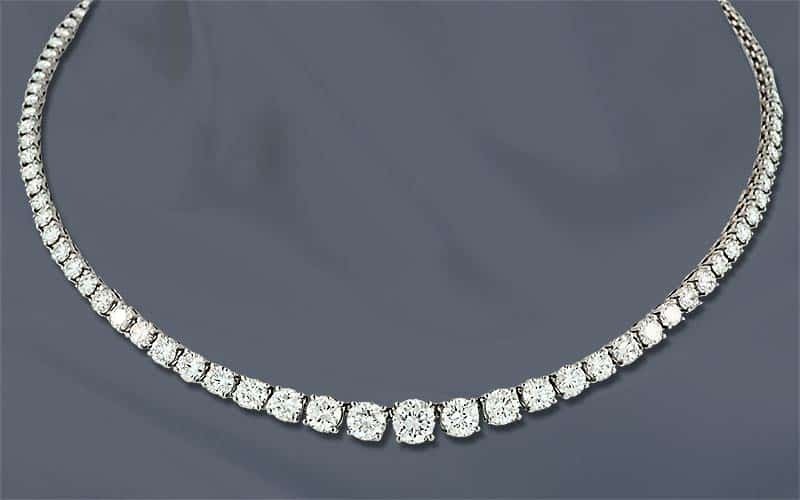 Diamond Riviere necklaces also often graduate from smallest near the clasp to largest in the center.